LEAGUE: Bundaberg Bears coach Antonio Kaufusi says there will be no dramas getting all the side working together despite club moves from players in the off-season. 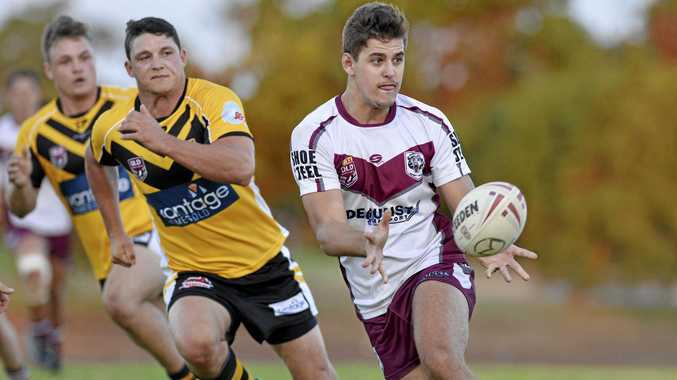 The 47th Battalion squad was named yesterday with 26 players selected from six of the seven Bundaberg Rugby League A-grade sides. The squad includes Trent Seeds, Zak Bainbridge and Chris Ford, who have played under Kaufusi before but moved to different clubs either this year or last year. Matt Craven and Logona Vetemotu agreed to join The Waves in the off-season before changing their mind- to join Easts and Hervey Bay respectively. The player movement could provide bad tension with the Bundaberg Bears when the side trains this month as it prepares to play on the Sunshine Coast next month. But Kaufusi has rubbished those claims. "We're all big boys,” he said. "My experience with guys that have left, they have left on good terms. "I've never held anyone back and we (Tigers) wished them all the best. Kaufusi is excited about what the squad can do. He's particularly pleased one player has joined the team. "Luke Waters missed out last year but was one of the first guys put on paper this year,” he said. The Wallaroos have the most players involved in the squad with seven. But with players coming from different clubs and able to play in different positions, Kaufusi knows he will have a headache finding the best 17 to play, which he's happy to have. "All those players can play multiple positions,” he said. The squad will have a compulsory training session at Salter Oval at 6pm tomorrow before the team is cut to 19 for the event on May 4 and 5.